Originally when the graphing capabilities were added to search, many people wondered how advanced the Google Graphing Engine really was. 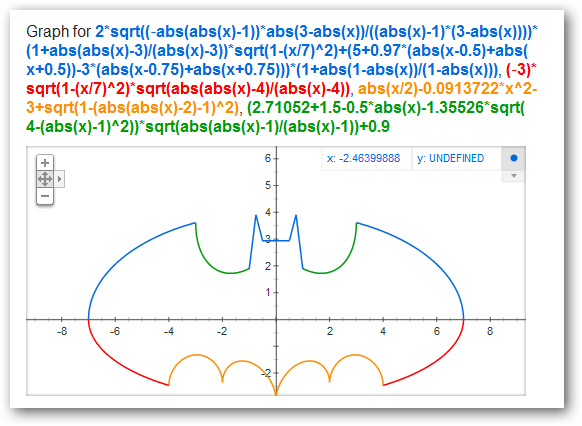 Many search guru’s argued that it wasn’t possible to graph the “Batman Function”, however, recently a man named Roland Mieslinger managed to figure out the seemingly impossible equation. Alternatively you can click on this link, and it will take to the page. Thanks to a clever engineer and the Google Graphing Engine it is easier than ever to show off our geek skills.